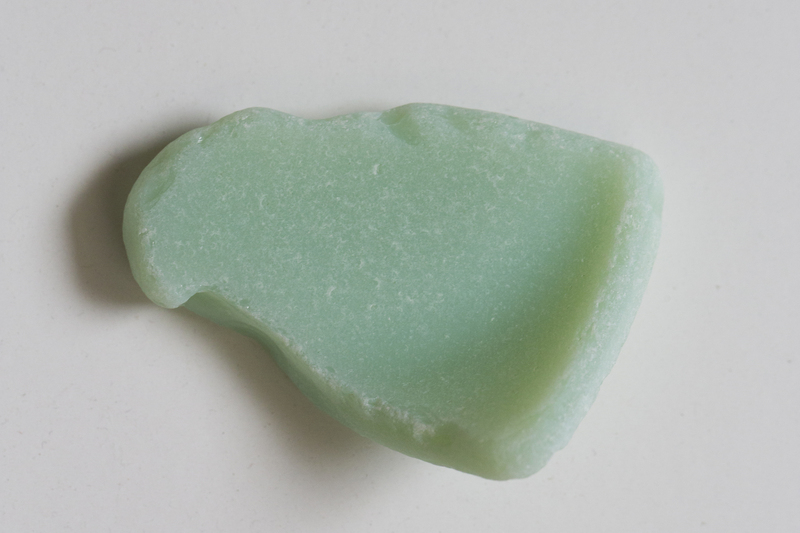 This must-have piece of glass is Jadite – opaque green glassware dating to the 1930s. It was so favored by Martha Stewart that she reintroduced this glass to modern times. Collected at Seaside Beach, California (near Monterey).